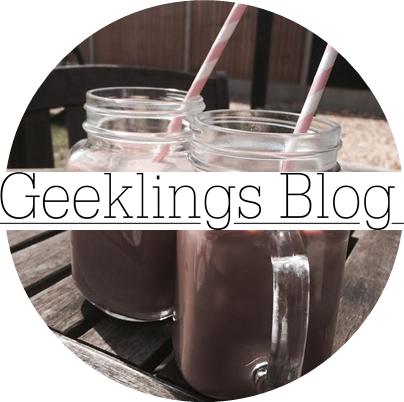 Geeklings Blog x: New Background! Hello! Just a little post to update you guys! As you can tell I have changed the background of my blog from the turquoise and white polka dots to these off-white and grey flying birds. I like a little change now and then, I'm still kind of getting used to it! What do you think? Do you like it? Also... I should have a new favicon (symbol/logo in the tab), which is a black and white 'G' for 'Geekling'. Hope you like that too!